Note: This is the third story in a new series that profiles UBC School of Music alumni who have followed interesting and innovative paths to career success. As a composer, conductor, and teacher, Hussein Janmohamed (BMus'96, MMus'98, MMus'14) has built a career using choral music to challenge cultural stereotypes and reframe the conversation about race in Canada. Growing up as an Ismaili Muslim in rural Alberta taught him that discrimination was an unfortunate fact of life, even in a country celebrated for its multiculturalism. And for Muslims and many other groups, he says, the issue is as pressing now as ever. The decision was inspired by his own formative experiences: As a young teen he found that the bridge between his two identities, the Canadian and the Ismaili, was congregational singing. Within the Ismaili community Janmohamed took part in religious devotion through ginan (Indic devotional expressions) and zikr (remembrance of the Divine) — and the experience made him aware of how powerful collective singing can be. In high school, he found that same feeling through choral singing, an artform traditionally associated with Christian churches. He began to rethink choral music as a more open mode of collective singing and used it to combine the musicality of devotional chants with choral songs. “In choral music there are so many layers and choral singing actually shows us what harmony can sound like when all the layers of identities come together." Janmohamed led the compositional work, often combining texts from the Ismaili culture with melodic structures from traditional choral songs. Janmohamed had already made a name for himself writing pieces that reflected multicultural perspectives. In 2004, he was asked by the Westcoast Sacred Arts Society in Vancouver to compose a piece with Russell Wallace from the Lil’wat nation to explore how Ismaili and Indigenous cultures could be harmonized. Janmohamed’s unique focus on multicultural choral singing garnered success early on in his career, and led to high-profile performances and opportunities to found other diverse choirs. The piece he co-wrote with Wallace was performed for His Holiness the Dalai Lama during his visit to Vancouver in 2004. More recently he led two global Ismaili music ensembles to commemorate the 80th birthday and Diamond Jubilee of His Highness the Aga Khan. Since assembling the Vancouver Ismaili Youth Choir, Janmohamed has gone on to be a founding co-conductor of Cor Flammae, Canada’s first queer professional choir in Vancouver, and the Awaaz Ensemble, a cross-cultural a cappella choral ensemble in Toronto. “[The indigenous scholar and elder] Lee Maracle says that if we’re not at the table together, we can’t shape a shared future, and I think for me, how I come to the table is by bringing choral music to the cultures and traditions that I belong to,” Janmohamed says. “There is not a great understanding of how music of the Muslim world is diverse or how historically Jews, Muslims, Christians and many other religious communities intersected harmoniously,” he explains. 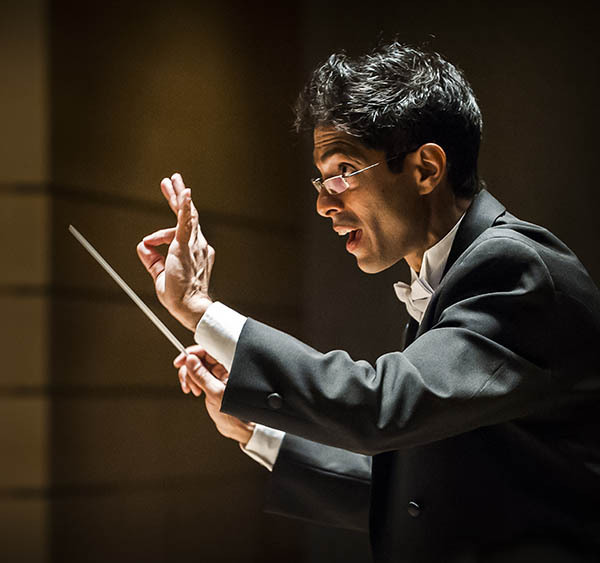 Now working on a PhD at the University of Toronto, Janmohamed continues to explore this cultural divide in music through scholarship, while at the same time trying to close that divide through his work as a composer, conductor and singer of choral music. It is a slow, ongoing process, but Janmohamed believes we all have a desire to get there. Note: This is the second story in a new series that profiles UBC School of Music alumni who have followed interesting and innovative paths to career success. “My sync placements made me realize it was actually possible to have a career and generate an income in the music industry,” Jay says. “It has given me an international fan base that I could never have built otherwise,” she says. But it was while working on the other side of television production that Jay learned about music licensing. “I didn’t know [licensing] was a thing until it happened. I had just done my first demo, I had a bunch of burned CDs Sharpied with my name on it. I was in between jobs and I was doing some extra work on the show called The L word and I made a friend who was like, ‘I know the assistant director to a show called Men in Trees on ABC, I am going to pass your demo on to her,’” she explains. To Jay’s surprise, she received a message soon after from the show’s supervisor in L.A. asking to use one of the tracks during a big end-of-episode scene. WATCH: Nat Jay performs her song "What I'm made of"
Following the experience, Jay connected with music supervisors at other networks to make sure they knew about her music. She also began offering seminars on the process to other musicians. It’s all part of her holistic approach to the business of music, which has since expanded to include writing grants to support her work and helping other musicians to do the same. As with sync licensing, she knew very little about grant writing going in but has turned this into another major source of income. Depending on the funder, the application process can require a marketing plan, a budget and a career history. Often the process scares off artists, Jay says. Jay has made a point of learning the ins-and-outs to the point where now she gets hired to write grants for friends in the industry like the band The Fugitives. Follow Nat Jay on Twitter and Instagram. Note: This is the first story in a new series that profiles UBC School of Music alumni who have followed interesting and innovative paths to career success. The lecture-recital series is currently in its fourth year, and has featured the works of Debussy and Stravinsky, as well as Chopin and the French Romantic composer Emmanuel Chabrier. Next year, the final year of Mostly Debussy, will be an important one. It is the 100th anniversary of Debussy’s passing, and to commemorate the event, Wong has commissioned three composers to each write a work for the series. One of the objectives of these compositions is to reflect Debussy’s late work, the Cello Sonata. Just a year before starting Mostly Debussy, Wong began collaborating with computer science students and professors at the Chinese University of Hong Kong to create a software that will make piano reductions — that is, simplified arrangements or transcriptions of an original score or composition — more accessible for performers, educators, or anyone who simply enjoys music. Wong expects that the final product will be the first software of its kind on the market. In the meantime, the project poses interesting challenges. In the same year that the software project began, Wong also began work on a textbook for keyboard harmony students, although he didn’t realize it at first. As one of the first faculty members in the Soochow University School of Music’s performance program, he had the opportunity to create a course from scratch, which was eventually named “Advanced Musicianship and Improvisation Skills for Keyboard.” Wong began writing the course outline and syllabus, originally without the intention of creating a textbook. But as the worksheets he wrote for his students grew in number, he realized that he had a textbook in the making. “I’ve revised the format of the book many times, internally. I’m on the fourth or fifth edition, without publishing it. Hopefully, someday we’ll have it done,” he laughs. Wong was once a student reading textbooks, not writing them. He was a very busy student. He played chamber music, collaborated with singers, and played for UBC Opera’s rehearsals. In his first year, Wong also played cello in the UBC Symphony. He recalls the instructors who made an impact on him as a student at the UBC School of Music – Bob Pritchard, Rena Sharon, and Bruce Pullan. With 2018 shaping up to be a big year, Wong appreciates the insights he picked up in his piano lessons and Piano Pedagogy courses at UBC, lessons about efficient practicing that has also translated to other areas of his career.